Success Mthombeni tells us how he fell in love with this flower. Love at first sight. In the world I come from, it’s not something I ever thought existed. But it happened to me. I was down in Cape Town for my birthday earlier this year and I visited a fancy restaurant in Camps Bay, full of life, and flowers on every table. It’s here that I met these two beautiful flowers. One was our famous national flower the King Protea and the other one was dark blue, purplish, with dark, oval leaves and seed capsules on the flower. 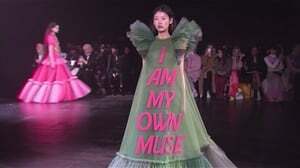 That’s all I knew about it. As soon as I got back home I knew I had to find the mysterious plant, but with my key words being the only description I knew, there was no luck and I eventually gave up. On my first day back at Radio Today, where I host a nature show, I browsed the nursery housing the station, looking for the beauty. I spent about 15 minutes ... and there it was! But wait. This one was not the bluish purple I remembered, this was purple with a fade, and “Saintpaulia” on the label. Next stop: Google. Saintpaulias are commonly known as African violets, I learn, and they come in seven main colours, with endless variations. They are native to Tanzania and southeastern Kenya. Their conservation status has been classed as near-threatened, because several of their species and subspecies are endangered. Growing African violets from seeds is rare, and most commercially available plants are produced from cuttings. I read up for three days before I bought the flower I had fallen for. It’s a very fussy plant when it comes to growing conditions, I had learnt. 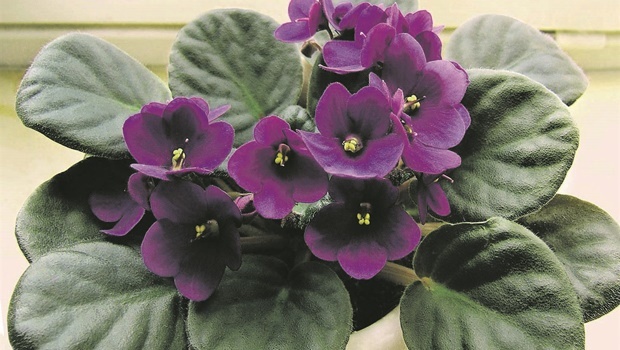 African violets demand 10 to 14 hours of bright but indirect light with a temperature ranging around 20°C in the day and an eight-hour rest in the dark. Let no one say first love is easy. One needs to keep the soil moist but not saturated, using room temperature or lukewarm water. Repotting needs to happen two or three times a year.